WWW.THE JOSHUA WILLIAMSON.COM: Nailbiter a killer success! 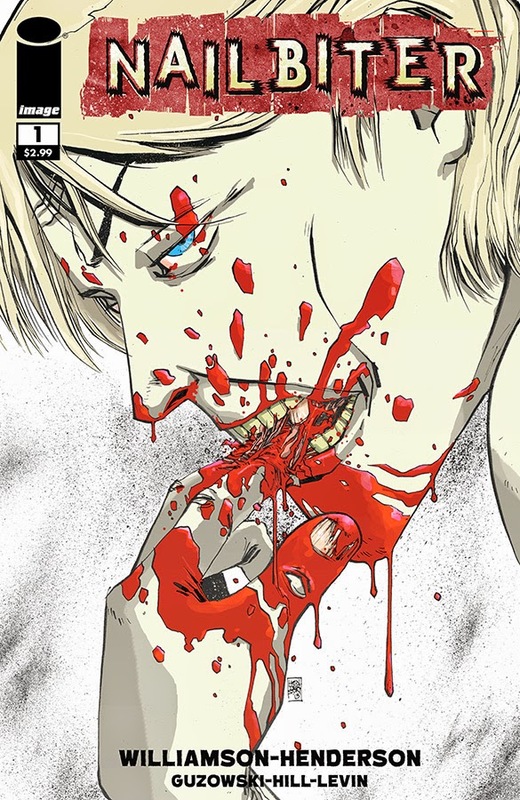 NAILBITER #1 has completely sold out at the distributor level, but may still be available in comic stores. It is currently available digitally on the Image Comics website (imagecomics.com) and the official Image Comics iOS app, as well as on Comixology on the web (comixology.com), iOS, Android, and Google Play. I have an idea for the name of your letters section at the back of Nailbiter. Spell out the words Nail Clippings in ransom note fashion where it's a bunch of letters cut from various magazines and then to the left of the N put a severed bloody finger with a chewed down nail at a slant so it makes the N look like an M. And now you've got the Mail Clippings section. Hope you like it. Thanks for another fantastic comic to read. It is awesome...and it feels like you're watching a great crime movie!